New to Minosa®, designers of quality modern bathroom products & bathrooms and kitchens, is the Hung Lift cabinet and Double Scoop®ED washbasin collection. 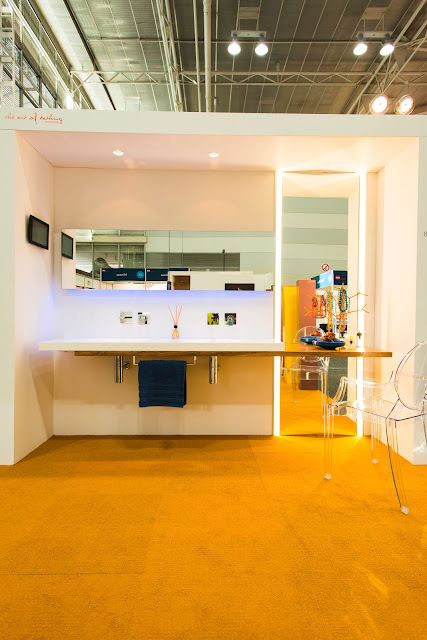 The bespoke Australian designed and manufactured bathroom pieces are a fusion of beautiful organic form and fine design & craftsmanship. Denoting the quintessential “perfect couple”, both hand basin and recessed cabinet can be seamlessly wall fixed, symmetrically and harmoniously, as if floating in space. Space and water efficient, the products are created from enduring materials while cleverly incorporating the often-overlooked virtue of practicality. The clean horizontal lines, quality material selection and attention to detail in the finish of the modern contemporary designed products conjure the much-desired calming aesthetic sought after in the sanctuary of today’s bathroom. The Minosa fixed waste will not retain water and makes it the perfect choice for light commercial or for those who do not retain water in their Hand basin.. 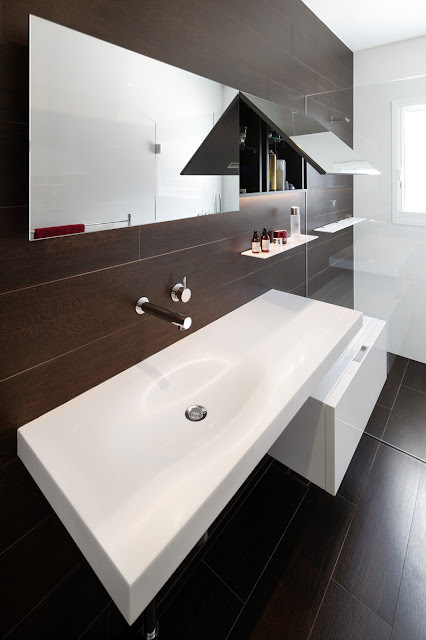 The Minosa take of the traditional shaving cabinet - by creating two large doors you eliminate that annoying split in the door which is always over the basin! 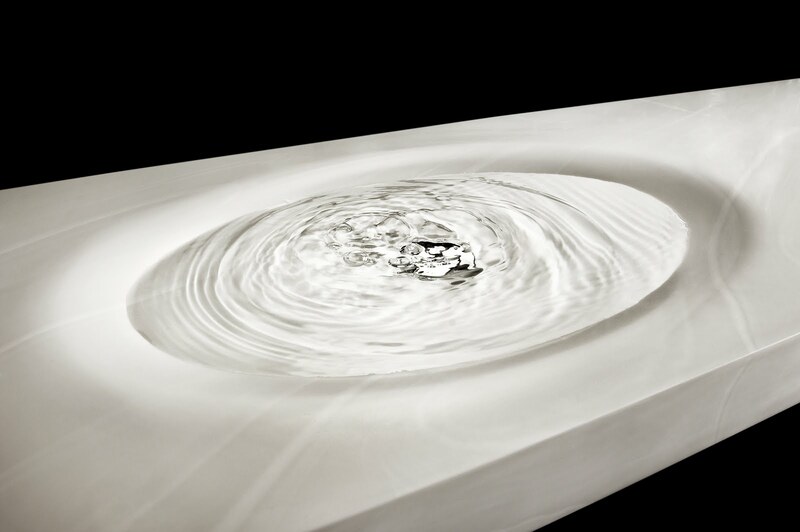 Bowl capacity 1.4Litres - how much do you need? 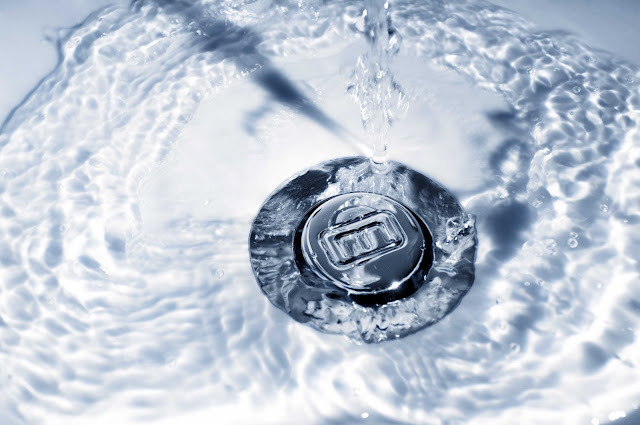 For commercial (or residential) applications there is the option of specifiying the Minosa® free flowing fixed waste system whereby the centre of the free flowing waste system is adjustable to help with the flow of water. 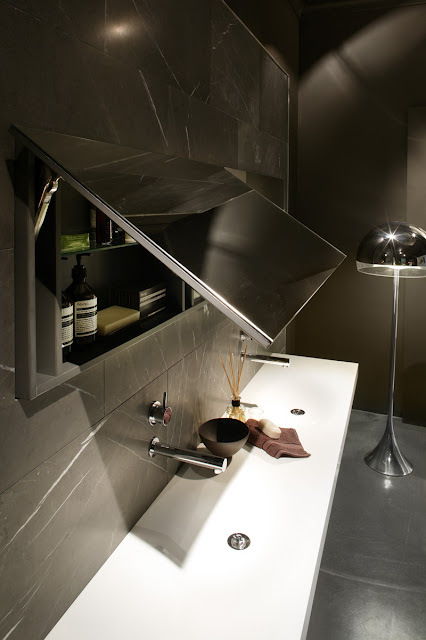 This addresses the increasingly popular behaviour of end-users who prefer not to dam or retain water in a washbasin. 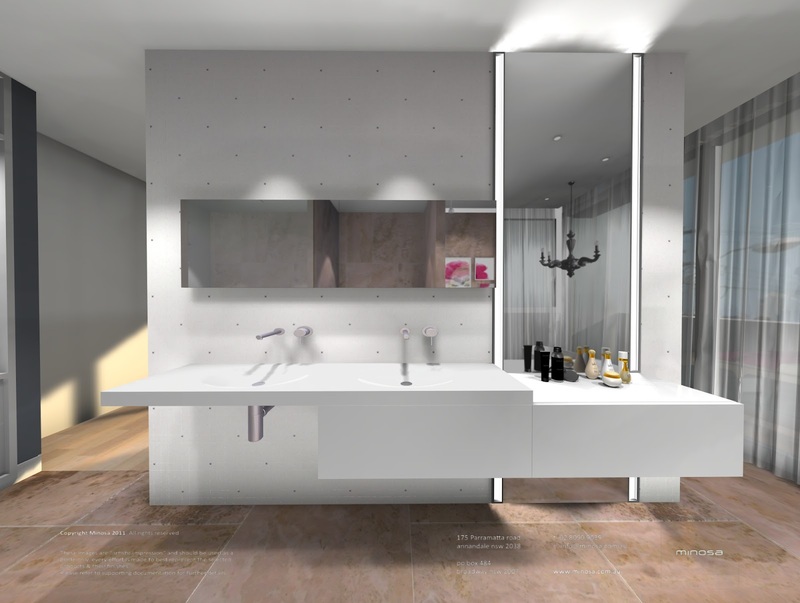 The trend also towards smaller footprints for new homes, the rise of apartment and townhouse living and renovations are points not missed by the Minosa® design team. 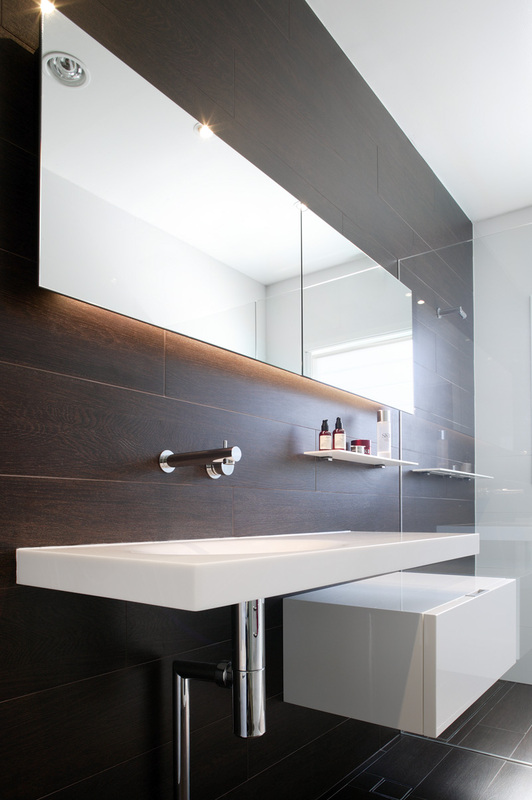 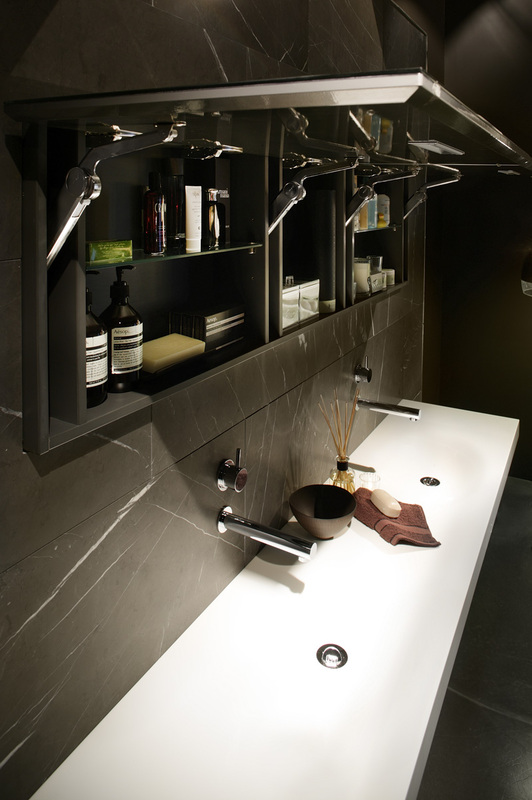 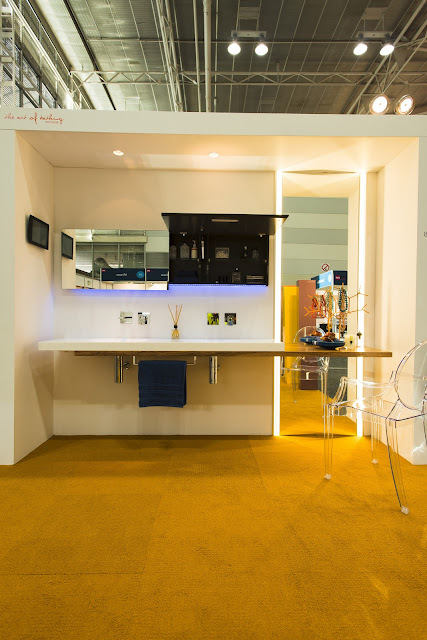 To assist in maximising available space without comprising the intended functionality of bathroom product, the Double ScoopED washbasin is available in a choice of lengths with various bowl locations while the Hung Lift cabinet is available in either single door or double door configurations in a choice of standard or customised lengths. 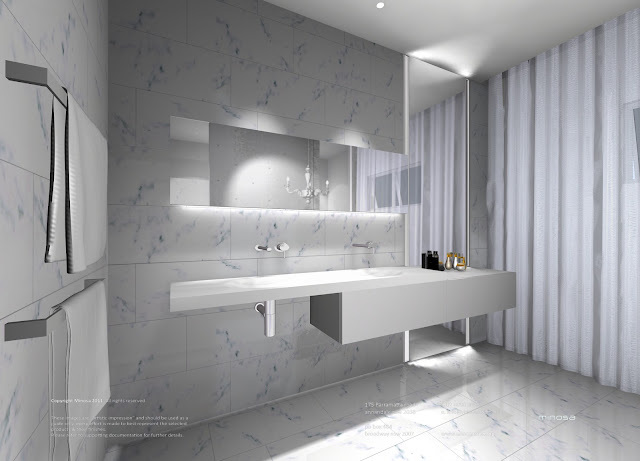 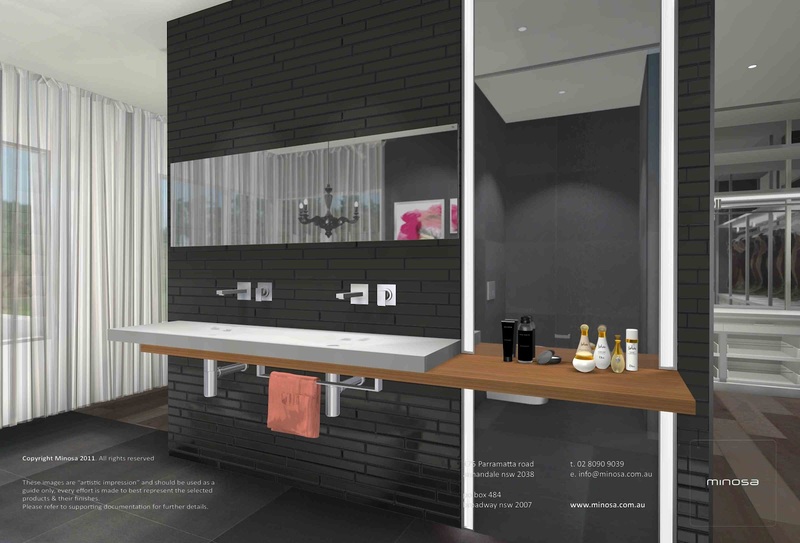 Allowing a bathroom to suit individual preferences in look and function, both products are available in a selection of quality materials and colours. 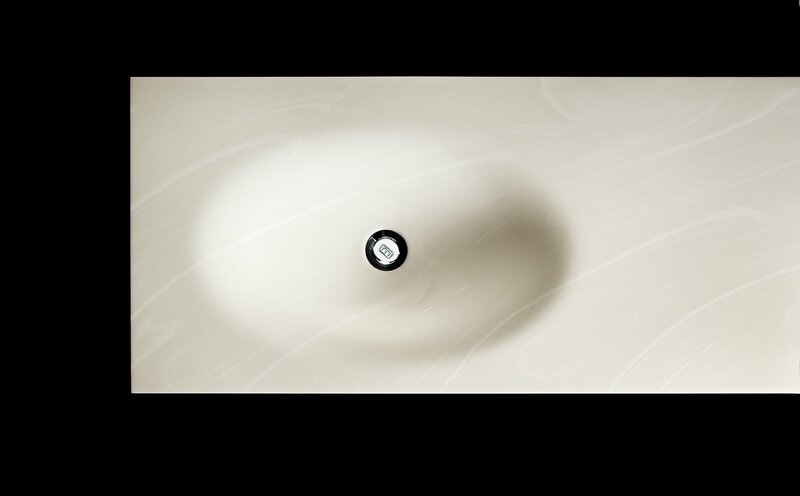 Ø Water saving design: shallow basin design in tandem with reduced water flow rate from the tap cuts water use by approximately 15 thousand litres per annum. 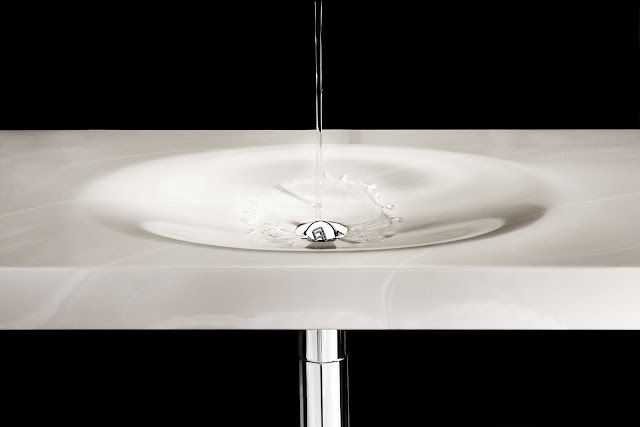 Ø Unique shallow washbasin design is minus the splash, and consistent with all Minosa® supplied product is adjusted to a recommended flow rate of 4-6 litres per minute. Ø Choice of bench lengths in either 1600mm or 1800mm. 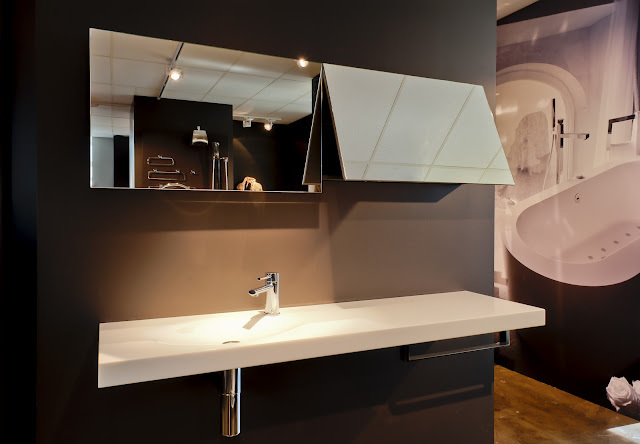 Ø Handcrafted from premium Corian® by Dupont® ensures the Double Scoop®ED washbasins offer aesthetic appeal, exceptional durability, along with stain and mildew resistance qualities. Ø Low maintenance and easy to clean with a cloth or sponge and warm soapy water or for more stubborn stains apply a mild abrasive cleaner. 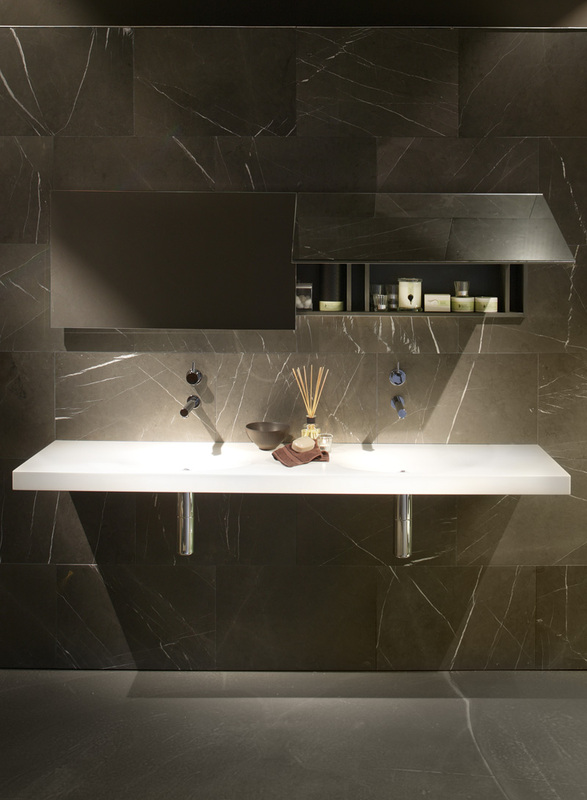 Ø Totally integrated bench and washbasin courtesy of seamless wrapping and grain matching of horizontal and vertical surfaces. 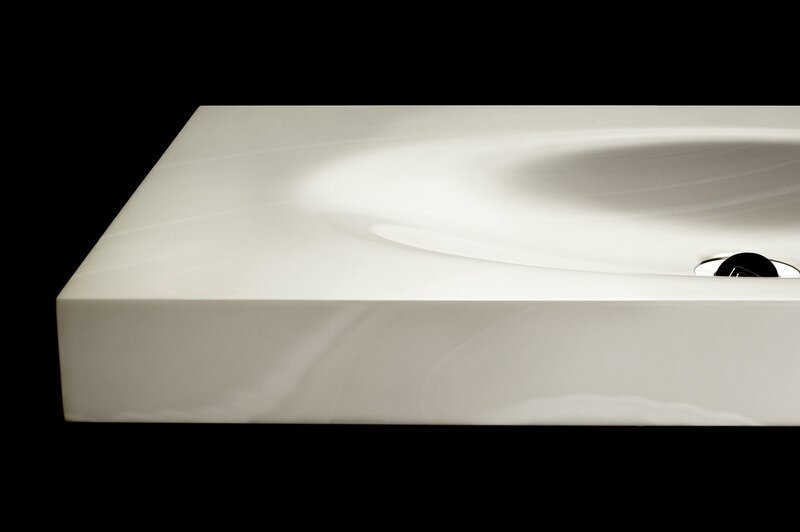 Ø A choice of 8 colours: Cameo White, Canvas, Concrete, Fossil, Glacier White, Jasmine, Rice Paper & Venaro White. Ø The washbasin is supplied complete with dry seal, chrome flip-waste with 32mm thread, O-ring, chrome spacer and locknut. 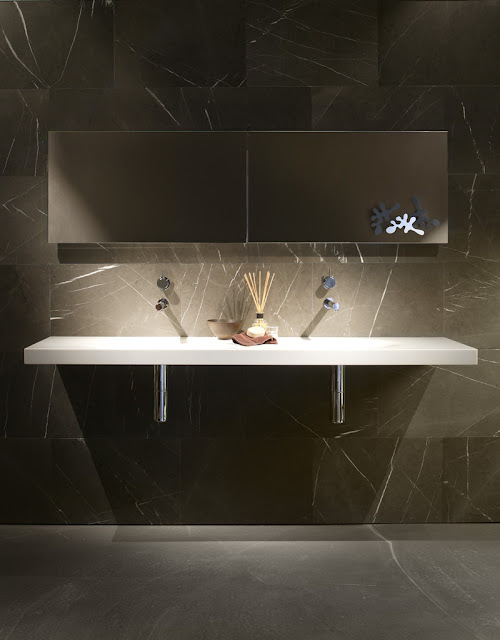 Ø Supply 10-15 working days from order placement.